The quest to find the secret to weight-loss isn’t new. Human beings have been inventing diets for as long as we can remember, the first one got popular in the 1800s. Gradually the trend gained popularity, and newer diet plans were introduced. Initially, people focused on cutting calories as they were considered responsible for the excess fat. 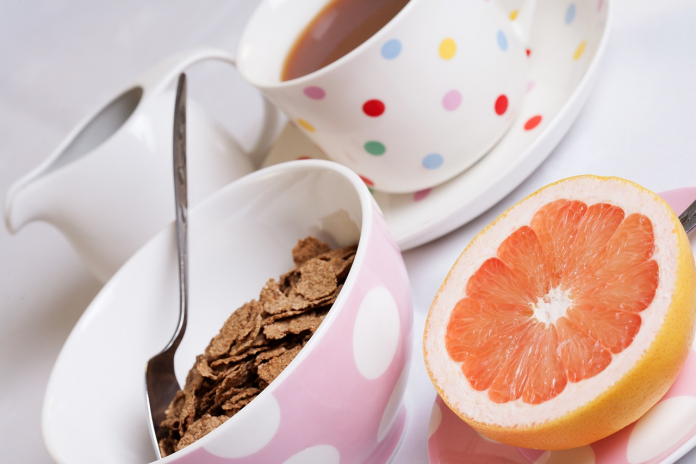 The grapefruit diet, HCG diet were all plans that emphasized on limiting your caloric intake. With the passage of time, new studies and experiments led to the discovery that meal plans that restrict carbohydrate consumption can be more beneficial. The clean eating campaign came to light, and more people got convinced of the idea. It focused on eliminating processed foods and eating meals based on nutritious and natural ingredients. The latest diets introduced include the Paleo, Atkins and the Ketogenic diet that allow high-fat foods, even junk foods as long as they are low in carbs. But is it true? Can fats promote weight-loss? You may be wondering what the truth behind all the claims is and whether you should cut down on the fats or carbs? Well, this article will talk about both the theories and hopefully you will find your answer! Why do carbs get the negativity? The clean eating campaign gave a bad rap to this particular food group. A common misapprehension is that “all carbs are bad.” That’s not true, let me tell you why! Carbohydrates are of two types- simple carbs (the ones found in white rice, pasta, and bread) and the complex ones. The second group of carbs contains long-chains of sugar molecules. These are the ones found in brown rice, quinoa, oatmeal, lentils, beans, and legumes. Is there something such as ‘Good Carbs’ and ‘Bad Carbs’? Well, yes. Like I previously mentioned there are two types, and the complex ones are the healthy carbs. The reason is that the body breaks and digests them slowly; hence they don’t cause your blood sugar levels to spike. These carbs are also a source of providing consistent energy. The bad ones are the carbohydrates found in processed foods such as soft drinks, candy, energy drinks, ice-creams, etc. Why does the body require carbs? But if carbohydrates are essential, how do people stay active during low-carb diets? When our body doesn’t get the required glucose from carbs, it begins to break down the fatty acids into ketones. These ketones become a source of energy for the body. It does prove that the body can survive with a low-carbohydrate intake. If you look at most high-carb low-fat plans, you will realize that to cut down fat most diets require you to limit processed and sugary foods. These sugary foods are the usual sources of unhealthy carbs. So, in reality, you do end up eating a very few carbs on these low-fat plans too. But there is another twist. The low-carb diets such as the ketogenic diet also allow you to eat certain complex carbs as they are the primary source of dietary fiber. The body can survive without carbohydrates but does require fiber. So no matter which diet plan you are following you will be eating the healthy types of carbs. Low-carb diets have gained popularity due to their ability to produce fast results. Since these meal plans limit your nutritional intake to only proteins, fat, and fiber, you feel full and eat less resulting in quicker weight-loss. Some diets can help you lose 10 or more pounds in the first two weeks. The only problem is that some people find it hard to stick to the low-carb lifestyle for long times and hence gradually increase their carbohydrate intake. This is also one reason why there aren’t a lot of studies as of yet on the effects such diets have in the more extended run. So, what is the conclusion of the discussion?